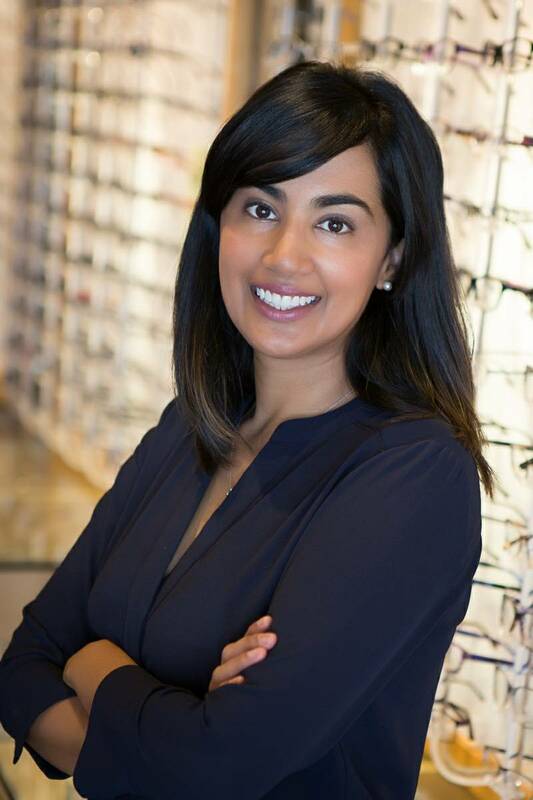 Dr. Alisa Khan graduated from the University of Waterloo-School of Optometry in 2005. She holds a Doctor of Optometry degree and an Honours Bachelor of Science degree from the University of Waterloo. Dr. Khan successfully completed an externship in therapeutics and ocular diseases at the progressive and nationally known Ophthalmic Consultant Centers-Canadian Center for Advanced Eye Therapeutics in 2004 in Mississauga. She is qualified to prescribe therapeutic agents for the treatment and management of ocular diseases. Not only is Dr. Khan involved in her private practice, but she is also a Clinical Supervisor at the University of Waterloo. Dr. Alisa Khan maintains her academic involvement with the School of Optometry by being a Clinical Teacher in the Contact Lens Clinic and Primary Care Clinic since 2006. She is also an affiliated doctor with TLC. Within the community Dr. Khan provides home visits to long-term care facilities for seniors and seminars on children’s vision at the Milton Public Library and Early Years Childhood Education program at the MCRC. Dr. Khan has a passion for providing optometry to those less fortunate and was part of an eye care mission to Villahermosa Tabasco Mexico for one week where she performed eye exams for locals. She has many more planned missions for the future. Dr. Alisa Khan is a firm believer in the saying “it is never too EARLY for an eye exam”. She has a special interest in paediatric eye exams and you will notice this when you enter Milton Eye Care, as it is very child-friendly. She believes child development and learning are intricately related to vision. Don’t be surprised if you bump into Dr. Khan around town since she lives in Milton with her husband, and two young children. 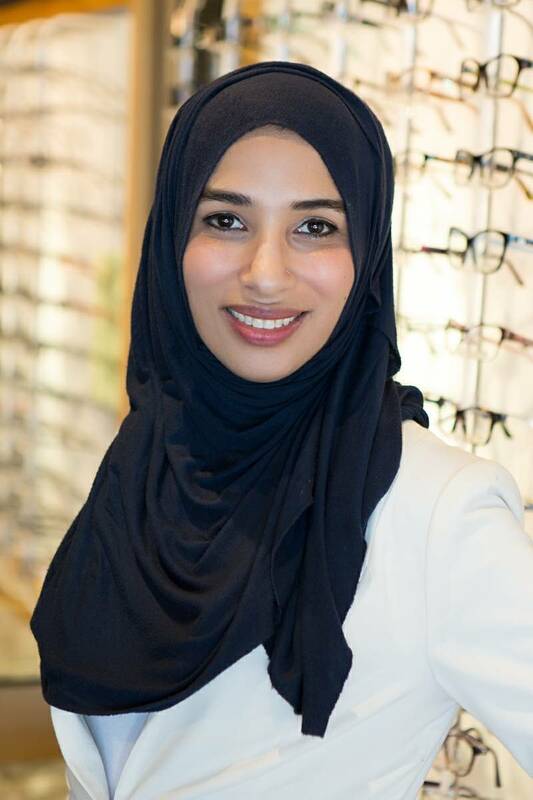 Dr. Aziza Patel graduated from the University of Waterloo-School of Optometry in 2010. Prior to that, she studied Biology at the University of Calgary. As part of her clinical training, Dr. Patel completed an externship in therapeutics and ocular disease at the John Kenyon American Eye Institute in Louisville Kentucky and Jeffersonville Indiana. She also successfully completed several primary care rotations in her home-town of Calgary as well as at the University of Waterloo. 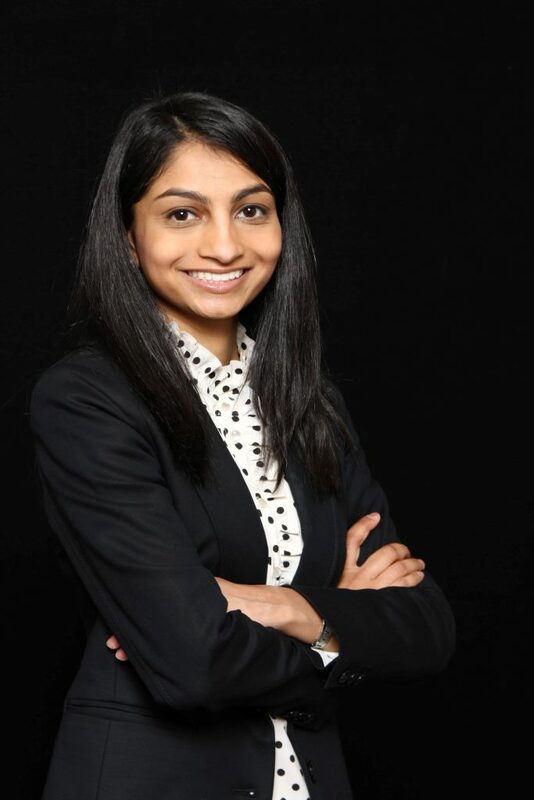 After graduating, Dr. Patel has worked in private practice in Mississauga and Brampton and she is very excited to be working in Milton where she has been living for the last several years with her husband and son. Dr. Patel enjoys working with patients of all ages and she is very excited to be part of the Milton Eye Care team where she can serve the members of this wonderful growing community. 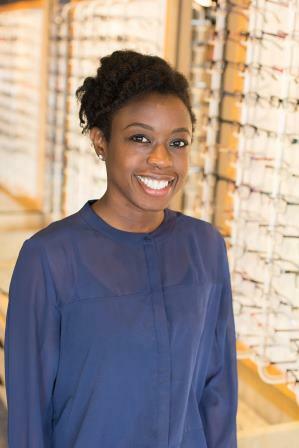 Dr. Yaa Fordjour graduated with Honours from University of Waterloo School of Optometry in 2007. She also completed her Honours Bachelor of Science degree at the University of Windsor in 2003. During her Ocular Health training she completed an externship at Houston Eye Associates surgical clinic, the largest ophthalmology clinic in the United States. She gained additional optometry experience traveling to Peru on a volunteer eye care mission in 2006, and she participates in volunteer eye screenings for Syrian refugees in Mississauga whenever possible. She has enjoyed practising optometry all over Southwestern Ontario. Her interests include pediatric optometry and ocular health, and she is certified to prescribe therapeutic drugs for ocular disease. She is also a TLC Laser Clinic affiliated doctor. Away from the office, she enjoys photography, yoga, and travel. She is a member in good standing with the College of Optometrists of Ontario and the Ontario Association of Optometrists, as well as the Canadian Optometrists in Vision Therapy and Rehabilitation. Dr. Roshni Naik completed her Bachelor of Science degree from McGill University. She then went on to obtain her Doctor of Optometry degree at the New England College of Optometry in 2016. As part of her clinical experience, Dr. Naik received training in several specialties including primary care, paediatrics, low vision, geriatrics and vision therapy. She also completed an externship in ocular disease at Midwest Eye Professionals in Chicago where she gained experience in treating glaucoma and retinal diseases alongside ophthalmologists. Dr. Naik is a member of the College of Optometrists of Ontario, the Ontario Association of Optometrists, the Canadian Association of Optometrists as well as the American Optometry Association. She is board certified to practice in Canada as well as the United States and is qualified to prescribe therapeutic agents for treatment of ocular disease. She is also an affiliated doctor with TLC and the Bochner Eye Institute. Dr. Naik is passionate and committed to providing patients of all ages with exceptional eye care and she is excited to be joining the team at Milton Eye Care.